British disease experts on Thursday suggested doing away with the "incorrect" advice to always finish a course of antibiotics, saying the approach was fuelling the spread of drug resistance. Rather than stopping antibiotics too early, the cause of resistance was "unnecessary" drug use, a team wrote in The BMJ medical journal. "We encourage policy makers, educators and doctors to stop advocating 'complete the course' when communicating with the public," wrote the team, led by infectious diseases expert Martin Llewelyn of the Brighton and Sussex Medical School. "Further, they should publicly and actively state that this was not evidence-based and is incorrect." The team said further research is needed to work out the best alternative guidelines, but "patients might be best advised to stop treatment when they feel better." The UN's World Health Organization says that if treatment is stopped early, there is a risk that antibiotics would not have killed all the disease-causing bacteria, which can mutate and become resistant to the treatment. It advises patients to "take the full prescription" given by their doctor. The US Food and Drug Administration, too, advises taking "the full course of the drug". 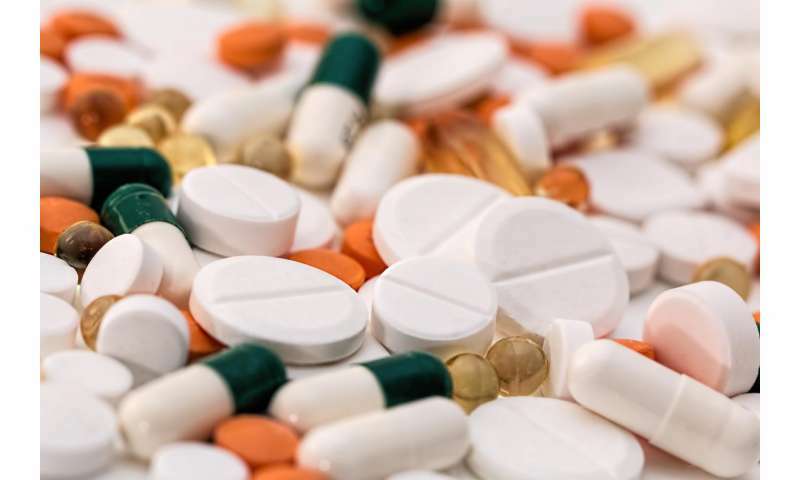 But the new paper, which analysed established links between treatment duration and effectiveness, and drug resistance, said there was no evidence for the idea that shorter treatment is inferior, or will trigger antibiotic resistance. "When a patient takes antibiotics for any reason, antibiotic sensitive species and strains among (microorganisms) on their skin or gut or in the environment are replaced by resistant species and strains ready to cause infection in the future," the team explained. The longer the antibiotic exposure, the bigger the foothold resistant species will gain. These resistant strains can be transmitted directly between people who have no symptoms of illness. Yet the idea of completing an antibiotics course is "deeply embedded" in both doctors and patients, said the team. Experts not involved in the analysis welcomed its conclusions. In comments via the Science Media Centre in London, Peter Openshaw, president of the British Society for Immunology, agreed that shortening antibiotics courses may help tackle the resistance problem. "It could be that antibiotics should be used only to reduce the bacterial burden to a level that can be coped with by the person's own immune system," he said. There are, however, cases which call for extended treatment courses—when a patient has a compromised immune system, for example, or if the bacteria is a slow-growing kind or can lie dormant before striking, such as tuberculosis. "It is very clear that prescribing practices do need to change," added Mark Woolhouse, a professor of epidemiology at the University of Edinburgh. "Current volumes of antibiotic usage are too high to be sustainable." This is almost hard to take since I have also been inculcated with the idea that to not take the full regimen as prescribed is foolish. Like so many sacred cows I now ask myself if this is not yet another one that was born in the 1940's when so many ideas about infection control and prevention originated. We knew damn little then and yet so many of the ideas that come from that time frame are proving to be very difficult to get rid of simply because they have been part of the medical psyche for decades, longer than any of us alive have been in practice. If it is true we no longer need to take antibiotics beyond the time when we clearly feel much better so much the better for us all. Big problem with antibiotics is the fact that they kill microbes, even those we would like to keep. But since we don't know what we have and what antibiotics will kill, we might never know that we have also killed something that was good for us. And when that good has been killed, we may develop all kinds of problems unrelated to the original bad bacteria we intended to kill. These may include allergies, deficiencies and maybe even cancer. And we may notice those long after the good strain of bacteria has been eradicated.